Jackie Tinsley is an 11 year resident of Richmond Heights. She and her husband are the proud parents of 4 wonderful children; three are graduates of the Richmond Heights Local Schools. Jackie has served as a union president as well as the Director of Public Relations with PMI (Project Management Institute). She is employed at the Cleveland Clinic, where she serves as a liaison to community clergy. She has extensive experience in management and administration and holds a B.S in Management from Indiana Wesleyan University. 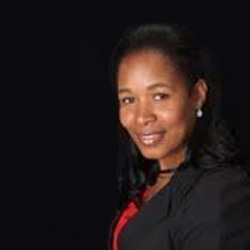 Rhonda Lowe is a Human Resources (HR) professional formally with AT&T. After 35 years with AT&T, Rhonda is now running her own management company called Pen & Note Management Consulting Company located in Cleveland Ohio. She received her B.A. from Notre Dame of Ohio and a Master of Science Management from Indiana Wesleyan University. Rhonda has an innate belief in serving, so during her career at AT&T, in addition to being an HR professional, she belonged to and lead a volunteer team named Aspire that partnered with youth organizations such as Junior Achievement and JOG to name a few. They were all dedicated to keeping children in school and encouraged taking their education to the next step which could be college or a sustainable job. She was also on the board of directors for Women of AT&T, Community Network of AT&T and other company organizations. Outside of AT&T and within the community Rhonda lives in as well as her church, Rhonda has served in many board capacities with organizations dedicated to volunteerism such as Toward Employment, the Heights Youth Club, the Mary Missionary Circle...etc. In addition to that, Rhonda was on the Richmond Heights Board of Education. Rhonda currently resides in Richmond Heights with her husband Tim and their two children, Tim Jr. and Victoria. 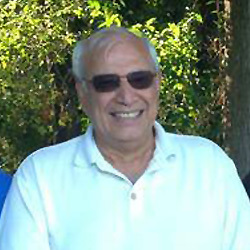 Tony Miceli is currently an elected member of the governing board of the Educational Service Center of Cuyahoga County. He and his wife Susan are the parents of 2 graduates of the Richmond Heights school district. He has been a resident of Richmond Hts since 1978. Tony holds an M.A. in education and worked as a mathematics teacher and guidance counselor in the Cleveland municipal school district. Nneka Slade Jackson As the mother of a 2012 Richmond Heights graduate and an aunt of a 2016 graduating senior, Nneka Slade Jackson knows first-hand the importance of driving results for student achievement. 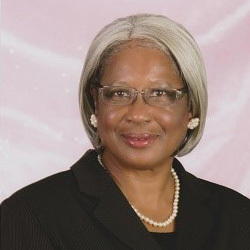 Nneka was first appointed to the Richmond Heights Local School District Board of Education in June of 2013 and was elected to serve a four year term in November of that same year. As a parent, Nneka believed in policies that were student-centered and as a school board member has been able to demonstrate a proven track record of supporting policies that foster equity and success for every student in the Richmond Heights Local School District. 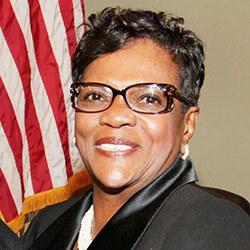 As immediate past Vice President of the school board, Nneka Slade Jackson participated in various committees like the Ohio School Board Association Black Caucus where she served to award scholarships to some of Ohio’s brightest students making certain that the students of Richmond Heights Local Schools have been able to compete in this process. As Co-chair of the 2012 Levy Committee for our school district, Nneka was instrumental in partnering with school leaders, students, parents, and community members to raise awareness of fiscal conditions to ensure successful passage. Other commitments to the Richmond Heights Local School District prior to being elected school board member include the Family Civic Engagement team where she served to connect families of our school district to resources necessary for student achievement. In 2010, Nneka served as the district’s Parent Surrogate where she represented students with special needs during IEP meetings and other processes to determine educational programming conducive to students with disabilities. The married, mother of three is Chief Operating Officer for Image Audio and Security LLC – a family owned security, surveillance and fire system company since 1995. Nneka’s brings a wealth of business experience coupled with a Bachelor of Science in Business Administration with a specialization in Accounting from Myers University to both the school board and the Education Foundation. It has been a culmination of each experience described that Nneka saw the need and pledged - when she was first appointed to the school board - to collaborate with stakeholders of the Richmond Heights community for the establishment of the Richmond Heights Education Foundation. 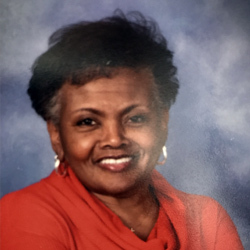 Betty J. Smith, a retired educator, spent over thirty years as a classroom teacher, coach, and administrator in the Cleveland and Cleveland Heights-University Heights School Districts. 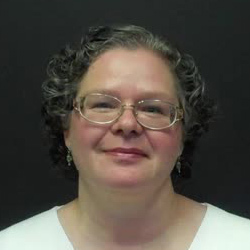 She also served as an academic coordinator for eight years at Cuyahoga Community College. Betty earned her Bachelor of Science degree from Western Kentucky University and her Maters of Education from John Carroll University. A supporter of service to community, Betty volunteers mentoring youth aging out of the Cuyahoga County foster care system. She has served as vice chairman of the parish council and volunteers in the religious education program at her church. She also chairs the Alpha Omega Foundation cotillion program which provides educational, cultural and community service experiences for high school girls in the Greater Cleveland area. Betty and her husband Eugene have been residents of Richmond Heights for eleven years. Amy Mittinger is a 2008 graduate of Richmond Heights Schools, and faithful Spartan since beginning Kindergarten here in 1995. She played both softball and volleyball in middle and high school, and graduated 10th her class of 2008. Since receiving her Bachelor's Degree from The Ohio State University in 2011, Amy says her hometown devotion remains. She still attends, promotes, and even assists with various Richmond Heights community and school events. Charlotte Camp is a 19- year resident of Richmond Heights. She and her husband Larry are the parents of two children, Liarra and Lenel who both attended Richmond Heights Local Schools. Charlotte is a Staff Appraiser for the U.S. Department of Veteran Affairs. 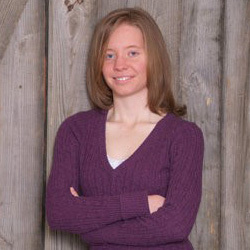 She earned a Bachelor of Science degree in Corporate Management and is currently pursuing a Master of Public Administration degree from Capella University. Charlotte is an active volunteer both on the job and in her community. She has demonstrated her commitment to the students of Richmond Heights by serving as the President of the Richmond Heights Boosters and as the Parent Liaison for the Richmond Heights Award Winning Choir for 5 years. Charlotte served a 2-year term on the Equal Employment Opportunity Advisory Committee as the Federal Women Program Manager for the U.S. Department of Veterans Affairs Cleveland Regional Loan Center. 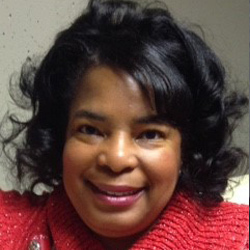 Realizing the importance of diversity as it relates to workforce inclusiveness and organizational successes, Charlotte was appointed to serve on the Cleveland Federal Executive Board Diversity and Inclusion Committee where she currently serves as the Chairperson. During her spare time she enjoys traveling and spending time with family. Juanita Lewis is Council-at-large for the city of Richmond Heights and a proud resident for over ten years. 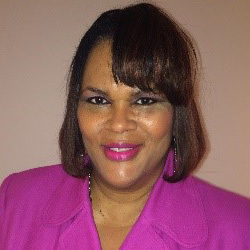 Juanita began a now thriving business, Lewis Exterminating Company, over 40 years ago and now oversees the administrative operation of this successful company based in Richmond Heights. Juanita operates out a strong sense of integrity, conscientiousness, and caring in both her private and professional life. As part of her council duties she serves on the Auditing Committee to insure the best use of the city’s funds and services. “Help” would be the best adjective to describe Mrs. Lewis, as she is often called upon inside and outside the community to aid and assist in humanitarian and faith-based charitable events and endeavors. Juanita always brings both resources and hard work to any tasks to which she is called. Over the past year, she has generously and untiringly worked with the Richmond Heights Foundation to assist in the area of education for the city’s residents. She echoes this same level of assistance for over 47 years along with her husband,John, as they assist their adult children in pursuing their goals for higher education, professional, managerial, and career development. Vida LePage is a registered nurse and International Board Certified Lactation Consultant. She and her family have been residents of Richmond Heights since 2002. She is committed to supporting quality public education. Her children attend Richmond Heights Local Schools and Case Western Reserve University. Yvonne Nichols Sims is a retired public school educator. She retired in June of 2011 after 38 years of experience from Bedford City Schools. She was a classroom teacher for eight years and a school counselor for 30 years. She earned her B.S.Ed. From Bowling Green State University with a degree and certification in elementary education. She earned a M.Ed. from Cleveland State University with a degree in curriculum and instruction and a certification in school counseling. She has held a variety of summer enrichment coordinator positions at Case Western Reserve and Cleveland State University. She worked as the facilitator of the Dr. Charles R. Drew Saturday Academy at the Cleveland Clinic. She is currently working as an educational specialist in the ABLE/GED program at Cuyahoga Community College. She is the wife of Atty. Rufus Sims for 39 years. They have 2 daughters, Mrs. Kimili Gulley and Atty. Khalida Sim. Renee is the Superintendent of the Richmond Heights Local School District. She begins her third year in this top post after having served for over 26 years in education. Prior to coming to Richmond she was a Visiting Assistant Professor at Cleveland State and Chief Transformation Officer for CMSD. She is also an educational consultant with a focus on closing achievement gaps. 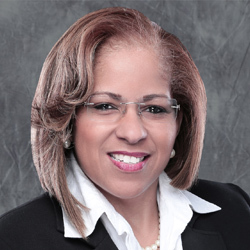 A native Clevelander, Renee serves on the board of directors for several non-profits, as she is committed to making an impact in the lives of people, particularly those marginalized and underserved. 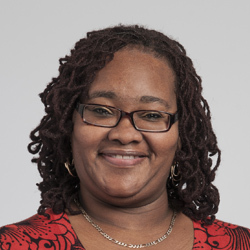 Renee received her Doctorate of Philosophy in Urban Education from Cleveland State University; her Master of Arts in Education Administration from Baldwin Wallace University; and her Bachelor of Science in Mathematics from Spelman College. In addition to her formal degrees, she has received certification in Executive Education Leadership from Harvard University, Strategic Planning from Cornell University and has studied abroad at Capital University in Beijing, China. In February 2015, Renee was noted by the American Association of School Administrators as an “Administrator to Watch”. In 2014 she was honored by Baldwin Wallace as well as The 100 Black Men of Greater Cleveland, as Outstanding Educator of the Year. She is the proud mother of one adult daughter Cierra, who has embarked upon a career in criminal justice in Atlanta Georgia with the District Attorney’s Office.